[1.5 and up] [FORGE] [UNIVERSAL]IronChests 5.0 - Minecraft 1.5 update! 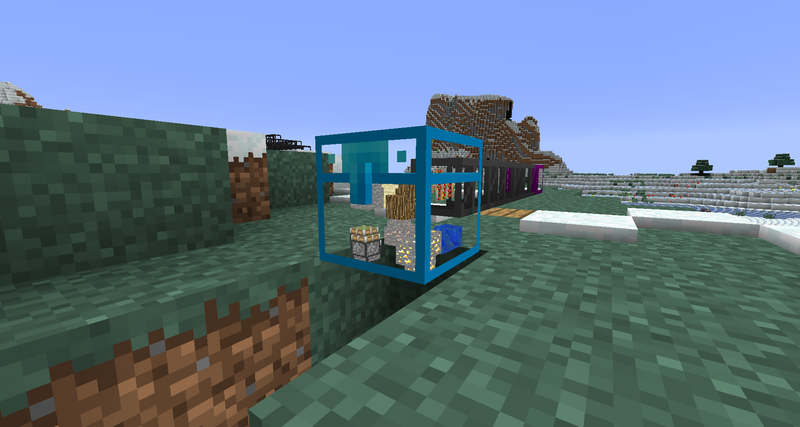 IronChests 5.0, formerly an IC2 addon mod, now completely IC2 independent. Requires MinecraftForge 7.7 (build 565) or better. OPTIFINE USERS update to the latest version of optifine for a fix. AVAILABLE NOW: 5.2 updating to minecraft 1.5 and using the new "version independent" build mechanism. 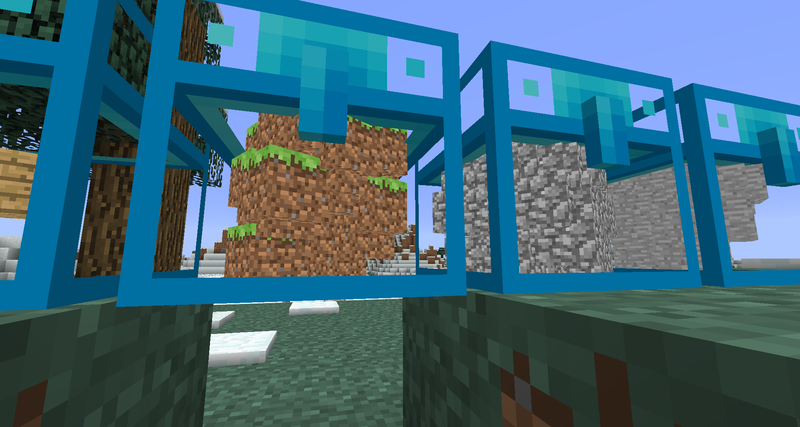 It should work for future minecraft versions, without needing a change (unless something drastic happens). 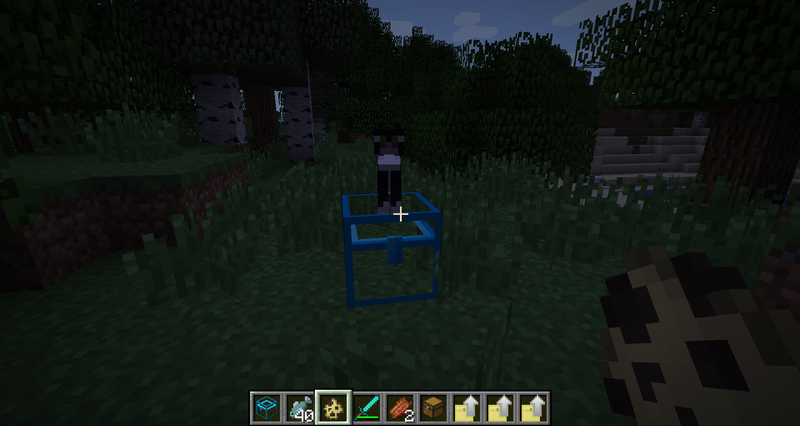 SMP news: This mod is a universal mod now. It will run on BOTH CLIENT AND SERVER. The SAME package. Yes, you read that right. It will also work for LAN play, as long as the other LAN players also have the IronChest mod installed. Yes, that's right, cats sit on your Iron Chests. Just for your pleasure and amusement, of course Iron Chests are tough enough to still work when a cat is sitting on it. Maybe it'll eject the cat. Who knows? 1. Update to minecraft 1.5, version independent build. 2. Obsidian chests. Upgrade diamond chests to obsidian chests. Totally explosion proof! 3. Changed to use the internal ItemRenderer. Should be a lot more reliable now. Also, you get 3d stacks with "fancy" graphics on. 4. Fix up some graphical derpiness. Should work better. Bukkit for MCPC 1.2.5 is available and I believe there is an MCPC bukkit port for 1.4.x as well. This mod is now officially open source, licensed under the GPL version 3. Feel free to fork and have fun with it. I welcome pull requests of a useful nature. Modpackers: yes, I allow both this and compact solars into modpacks, and being open source I really can't stop you. But I would appreciate a courtesy ping saying that you're including me somewhere. Thanks! NOTE: A big apology to Vattic, author of faithful texture pack. I failed to credit his original work in the faithful texture pack graphics for this mod, stupidly I believed it was originally by PieceMaker, though PieceMaker has subsequently contributed the lovely icons for upgraders and had supplied me with the original link to the faithful textures through his faithful for IC2 post. Again, my apologies all around for any confusion, purely my fault. Florastar done a lovely little mod spotlight. Thanks! And now, neceros has done a great mod spotlight too. Thank you as well! Finally, the mod Let's Play king himself has done a nice little mod spotlight too. Thanks Direwolf20! This one shows you can see up to eight stacks. The number of microblocks visible is related to the amount of that item in the chest. (1 per 1/2 stack). This is what a sorting system with my crystal chests could look like. New item for this mod: a chest upgrader. Constructed similarly to the chests themselves, except with a single ingot of the source type surrounded by the standard recipe for the target chest. For example: the iron->gold upgrader is 8 gold surrounding a single iron ingot. The chests will upgrade, in place, and the new storage will become available to use. No more fussing around with destroying chests to upgrade them! Many thanks to PieceMaker for the lovely new icons for chest upgraders! v5.2 Update to 1.5 and version independent. v4.5 Update for MC 1.4.6, change to the vanilla item renderer code. Much more efficient and gives all vanilla item rendering capabilities. v4.0.3 Fix some graphical glitches in the client. v4.0 Update to 1.3.2, added in cats sitting on chests. v3.8 Reduce the size of the hitbox to match the actual appearance of the chest. v3.7.2 Fix upgrading vanilla chests in certain circumstances. v3.7 Fix recipes, tweak and fix graphical optimization. Allow gfx optimization to be disabled if it causes errors. v3.6 Add in the vanilla chest upgrader. v3.5 (unreleased) fixed 4096 block support. Graphical optimization. v3.4 Update for forge 3.2.4+, FML client side and mcmod info. v3.3.1 Update for forge recommended build 3.0.1.75. Works well again. v3.3 Update for forge 3.0 and MC 1.2.5. Works well with the latest forge system. v3.2 Update for forge 2.0 and MC 1.2.4. Remove last vestiges of MLMP- now uses forge GUI handling. No more GUI ID conflicts. v2.5 Crystal chest works in SMP now. Fixed a couple of other SMP bugs (chests not updating with upgrader items for example). v2.4 Add in a crystal chest. See the contents of your chests without opening them! v2.3a Fix up texture path issue so texture packs work for items and blocks. v2.3 New icons for the upgrader items. Thanks Piecemaker! New upgrader: Copper to Iron. Equivalent Exchange EMC support! If you have equivalent exchange installed, you will be able to put all the chests (not the upgraders, just the chests) into your transmutation table or AMR and get a whole pile of EMC back. It's how I've decided to support Equivalent Exchange alchemical chests: you can transmute a diamond chest into about 4 alchemical chests (I know, EE is ridiculously cheap!). v2.2 Item for upgrading chests in-place! v2.0.1 Add hook method so that a new Inventory Tweaks can work with this version. Change pushed to InvTweaks author to support this. v2.0 Initial release, copper and silver chests added to original version. 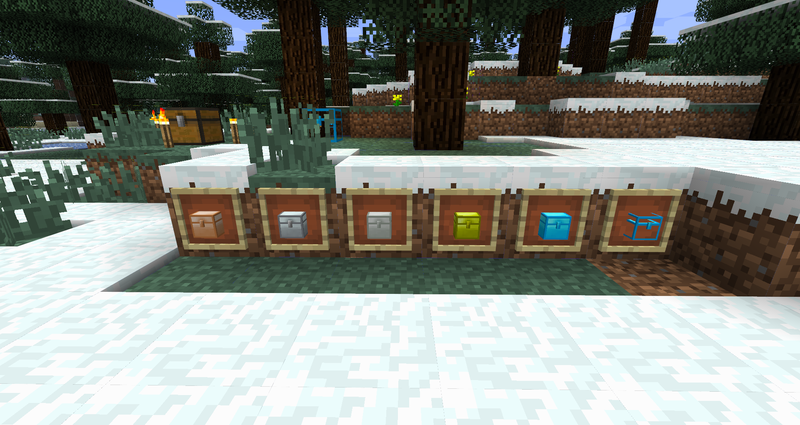 Secondly, many thanks to PieceMaker from the Industrial craft forums, who for a long time maintained the 32x faithful texture pack for designing the beautifully simple icons for the chest upgraders. Thanks PieceMaker! Pretty simple recipes: generally surround one of the lower tiered chests with your preferred material and get a higher tiered chest. Crystal chests are glass around a diamond chest, obsidian chests are obsidian around a diamond chest. 7 possible chests: Copper (5 x 9 = 45 slots), Iron (6 x 9 = 54 slots (a double chest)), Silver (8 x 9 = 72 slots), Gold (9 x 9 = 81 slots), Diamond (12 x 9 = 108 slots- bigger than an EE Alchemical chest) are the basic chests. Crystal and Obsidian chests are specialty chests based on the diamond chest. Crystal chests render some of their content visible, Obsidian chests are completely explosion proof. It uses 1 block ID for all this goodness. If Copper ingots or Silver ingots aren't available in your world those chests are just skipped (you can NEI them if you want though). The upgrader items are similarly constructed to the chests themselves: surround the lower tier ingot (iron, gold, copper, silver) with the material of the higher tier item you wish to upgrade to and get an item that allows for in-place upgrade of chests. The items are single use, and work immediately on the right kind of chest, so be careful where you click! Recipe images in this post with much thanks to Silentspy! All recent downloads. v5.0 and v5.1 are for MC1.4.7, v4.4 is for 1.4.5, v4.3 is for 1.4.4/5, v4.2 is for 1.4.2 and v4.1 is for 1.4.0. General purpose links. Usually, will be for the latest minecraft version (1.5 at the moment). Latest build builds every time we update forge, the recommended build is one I'm probably actually using day to day. The differences are probably minimal. These are hosted at mediafire and may or may not be available depending on how mediafire is feeling about me today, sorry. Faithful texture pack: Mediafire download - much of this was based on the excellent original work of Vattic for the old IronChests mod, as well as fine contributions for the lovely new items in 32x by PieceMaker! Sphax texture pack: http://www.eclipse-p....php?f=19&t=386 - many thanks guys for the new texture pack it looks lovely! Supports both SSP and SMP play. Bukkit plugin compatible with MCPortCentral MLMP now available! New item sprites by PieceMaker. Original idea by Lishid, thanks for letting me take over. But, what does it do? Not sure if Dislexia or Trolling. It enables the creation of several "Tiers" of chest with more space according to the material. Btw does this go in the jar or in the mods folder? Thank you, this mod should of been independent from the start. Nice additions, finally have a use for silver. 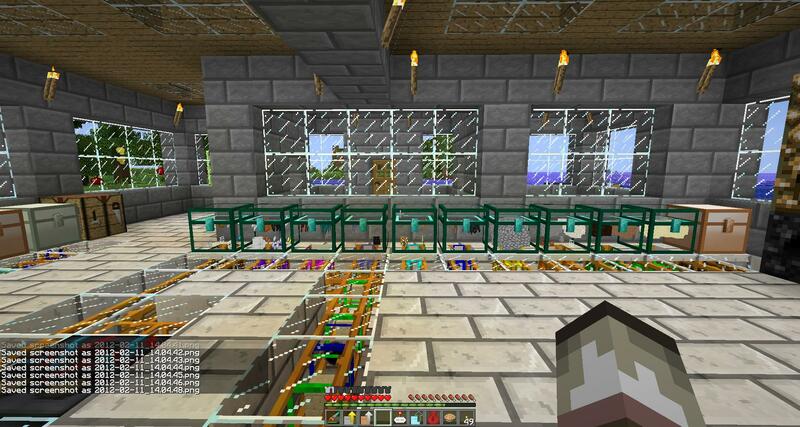 Looking forward to SMP support. Quick question: will these chests work with BC pipes and/or RP tubes? "Don't know why you should feel that there's something to learn... it's just a game that you play." Yes, that is the reason for their original existence. They should work fine with everything- they're just a copy of the vanilla chest inventory code, upsized. Splendid! I hadn't used them before but that's reason enough to do so. Because then it would require users to have Equivalent Exchange to use this add-on. Perhaps it might be possible for someone to make a separate alchemical chests add-on for EqEx. and thank you for remove ic2 dependency.. This mod was actually a weight on the scale of the advantages and disadvantages of using IC2 for me.. its going to finally be able to take if off the scale, and set it back on the table. Actually the really nice thing about these is that they don't merge, meaning you can place several in a row and have lots of inventory space in very little block space. Also helps in keeping things organized. Respect for your awesome work CPW, love what you've done with this. But yeah its still very possible to do, but what for? Diamond chest already gives so much space, Even more than the alchemical chest so those 2 would be just plain overkill. Breaking my meaning of life status. But to reply: I don't think dark and red matter are in the forge dictionary so it'd be significantly harder to support them. Next plans are for an item that allows for in-place upgrades from one to the next..
V2.0.1 released allowing support for InvTweaks, if/when he pulls my git update.